Carroll County Animal Protection League-CCAPL - WHO WE ARE-DONATE TODAY! WHO WE ARE, OUR GOALS, OUR MISSION STATEMENT, OUR MOTTO and HOW YOU CAN HELP US! We, of the Carroll County (Ohio) Animal Protection League, (CCAPL), are wanting to build a greatly needed no-kill animal shelter for our county. There is only one animal shelter within a sixty mile radius of our county. 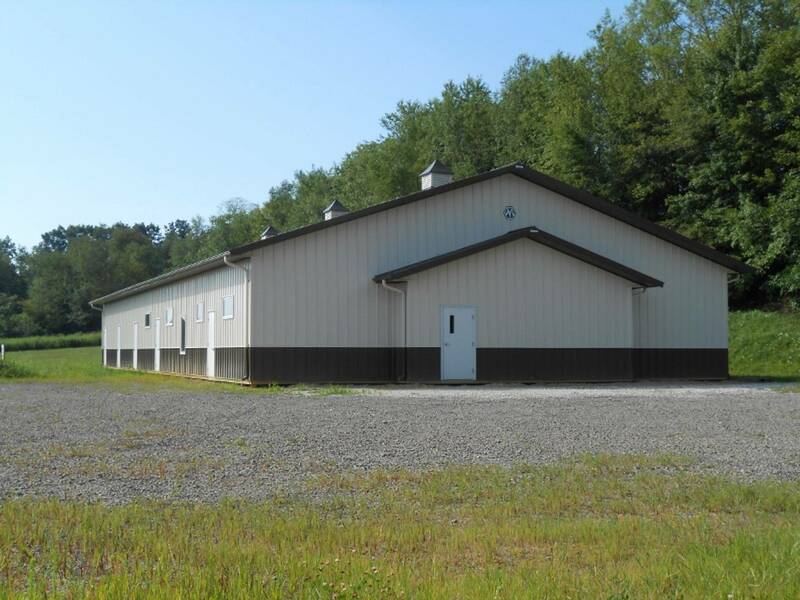 We are trying to raise funds to build an animal shelter on the 5.393 acres of land we purchased July 1st, 2009. We are also seeking grant funding with diligence and vigor for construction, maintenance and all other needs. Plus, with what we can generate from public contributions and fund-raising activities, we know we can get the project done. Our mission statement is: "To provide, through an animal shelter, love and care to domestic animals until they acquire their forever homes." Goals: To build and maintain an animal shelter for Carroll County, Ohio. To provide temporarily, a safe haven for domestic animals which will come under our care. The Carroll County Animal Protection League organized and started at the first meeting January 18, 2007. Won't you join us today in our efforts to raise the money and build and maintain a no-kill animal shelter for Carroll County? There is such a great need for an animal shelter in our rural Appalachian area. By having an animal shelter to work out of to facilitate organized adoption and viewing animals to be adopted in an organized manner is the best solution. It is the only way to accomplish this goal and to be effective and make not only an impact on the overpopulation of unwanted dogs and puppies, but especially cats and kittens. Although there is a county dog pound, doing the best they can, there is nothing available in our area to rescue or take in the numerous cats and kittens. Euthenasia will only occur by veterinarian recommendation for humane purpose of a suffering animal. STATISTICS: (HSUS) - In six years, one female cat and her offspring can produce 420,000 other cats. In six years, one female dog and her offspring can produce 67,000 other dogs. With these staggering statistics, and lack of an animal shelter in our area, many are faced with starvation, being dumped along a rural road, hit on the roads, and also dying a slow and painful death. For every puppy or kitten that is going to be born, hundreds, even thousands of dogs and cats have to be destroyed due to lack of a home. EDUCATION: Another goal we have is to educate the public in the overpopulation epidemic in this country, by providing educational programs to adults and youth, civic organizations, and providing educational printed materials given through an animal shelter. Yes, we can do some of that now, but would not it be a great thing to talk to prospective adoption families as they come into our shelter on the overwhelming statistics and all the great reasons to spay and neuter? Plus, we would also like to hold classes on pet care, dog obedience classes, and so much more. CAN YOU HELP US ACCOMPLISH OUR GOAL? WOULD YOU BE WILLING TO HELP US GET OUR DREAM ACCOMPLISHED SO WE CAN ACHIEVE IT AND SAVE LIVES OF SO MANY ANIMALS THAT MAY COME UNDER OUR CARE? If you can send in any amount of funds, (tax deductible) regardless of the size, it all adds up to accomplish our goals. We are registered with the Internal Revenue Service (501 (c) (3) non-profit status), the State of Ohio and the Ohio Attorney General's office. On behalf of our Officers, Board of Directors, and member, we thank you for visiting our site and for caring so much about those wonderful animals that make such a difference in our everyday lives! We meet the first Thursday of each month at the Carrollton Friendship Center - Rt. 9- (south end of the Carroll County Fairgrounds), Carrollton, Ohio, at 6:30 p.m., unless inclement weather cancels a meeting, we will go to the next month's meeting. Our annual meeting is held in December of each year. Visit often please as we are updating new information on our site weekly. Our land we purchased in 2009! Help us raise the funds to build our no-kill shelter and save precious lives of animals when they come under our care! We will not euthanize for space, but only by veterinarian recommendation.